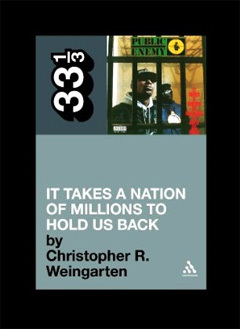 Tomorrow at Greenlight in Brooklyn: Christopher Weingarten, Daphne Carr, Bryan Charles, and Hank Shteamer discuss their contributions to the 33 1/3 series. Jesse Miller on novels by John Brandon and David Mitchell. Several months ago, we mentioned a conference on the music criticism of Ellen Willis, to take place at NYU. One can now pre-register for said conference here. And Robert Christgau provides some context here. After a twenty year legal pursuit, Kate Bush has been granted the rights to use the words of Ulysses’ Molly Bloom in a forthcoming song. Keep Running Up That Hill, Ladies! In other Sisters Doing It For Themselves news: that snoozer of a non-debate about what constitutes a memoir continues with the release of Tina Fey’s Bossypants. At the Awl: David Foster Wallace had an enormous library of self-help books, and was scared shitless by The Blair Witch Project.